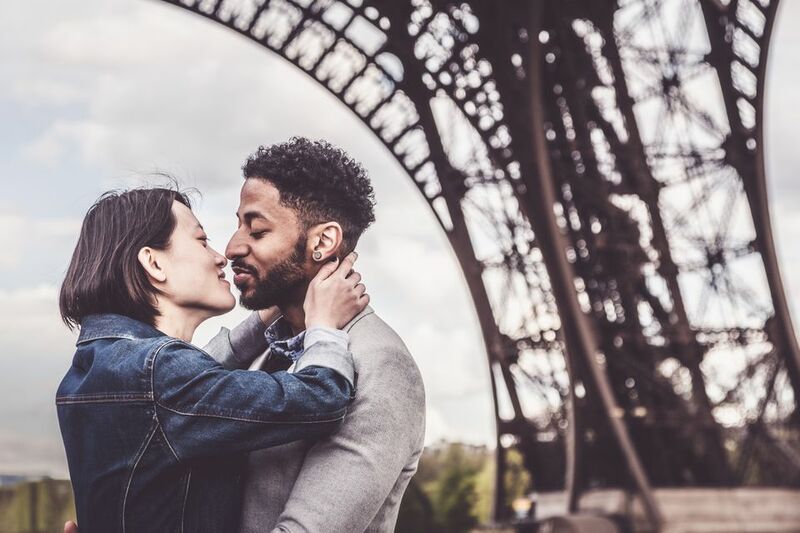 France is one of the world’s most romantic countries. Within its boundaries there are several cities that are perfect for couples. So if you’re planning a special getaway or your honeymoon, start with this guide. Paris must be the number one choice. It has everything for a romantic getaway. A small boutique hotel? No problem; try these two gems hidden away. A charming, intimate bistro? Again, not a problem. With all that saved you can splash out on some luxury shopping or even go bespoke and get a specially made hat, shoes or gloves. And when you look beautiful, be photographed like the star that you are at Studio Harcourt. It may be expensive but the photographs are superb. You can't go wrong with Paris, after all it is known as the City of Love. Of all the cities in Provence (and there are many lovely places), Aix is one of the best. It’s a beautiful city where fountains splash in the squares, cooling down the intense summer heat. It’s a place where you can spend days sitting in pavement cafes and on terraces watching the world go by. Old Aix offers twisting medieval lanes and alleys and grand 16th and 17th century houses. Paul Cézanne lived and painted in the city and you can visit his studio as well as take a trip outside to the often-painted Montagne Sainte-Victoire. South of Lake Geneva in eastern France, Annecy has its own lakeside setting and it's one of the most beautiful resort towns in the French Alps. Annecy has a glorious historic center full of old buildings and monuments. It's an area of passageways and streets criss-crossed by the little branches of the Canal du Thio. Standing apart and unmissable, the Palais de l’Ile sits between two bridges, in the middle of the Canal. It’s a lovely building that has been royal court and prison, most notably during World War II when French Resistance fighters were incarcerated here, leaving their signatures scratched onto the walls. Dominating the town is the château that once housed the great families of Genevois counts and the Dukes of Nemours. This great maritime city has a long and illustrious history from the time that the Romans set up a trading port here. Today its beautiful stone buildings have been renovated and the historic center is gracious with buildings like the Grand Theatre housing opera and ballet companies in a gilded setting. A cathedral dating from the 11th and 15th centuries, top museums centered around the cathedral and the Centre National Jean-Moulin dedicated to the local resistance and to the Holocaust make Bordeaux a cultural center. But it also has smart shops, great hotels and restaurants and innovative attractions like the Water Mirror outside what was the stock exchange where couples photograph their reflections. But Bordeaux is most famous for is wine. The new and startlingly modern building housing La Cité du Vin opens in Spring 2016 in the Chartons district. Once poor and scruffy, Chartrons is increasingly trendy with artists moving in and interesting boutiques springing up. Once you’ve learnt the secrets of wine and the history of the wine trade, take off around some of the most famous vineyards in the world like Médoc with its famous eight appellations on a wine tour. Bordeaux is on the up; it's a stimulating and exciting city. Who could not fall in love with Carcassonne? Divided into two towns, split by the disastrous Cathar heresy and its brutal suppression in the 13th century, its fortifications, walls, old streets and buildings give it a fairytale feel. The old town may be attractive, but it’s the turreted fortress of the Cité, dominating the town, that is overrun by visitors in the high season. It has an important cultural festival in the summer from late June to mid August. If you can, make sure you're here for the huge firework display on Bastille Day, July 14th. The historic center of Chartres might be small, but the town packs a huge punch. The famous Gothic cathedral is one of the wonders of the world, and attracts vast numbers of visitors. It was built between 1194 and 1260, an amazingly short time for a medieval cathedral so it has a harmony of design that is rarely seen. During the Middle Ages, Chartres was one of the great stop on the pilgrimage routes to Santiago da Compostela, a magnet for those coming to see the holy relic, the Sancta Camisia. Today ordinary mortals come to squint up at the stained glass windows (take binoculars if you can). Most of the glass is from the 13th century, with radiant blues and vibrant reds, and each window tells a story from the Bible. It’s worth climbing up the north tower for the view. But come if you can during the summer when the whole town is transformed by an amazing light show. The lights on the cathedral are the most impressive, but walk through the dark streets and you come across the figures of pilgrims, or washerwomen down by the communal fountain, then turn a corner and see another church glowing with its lights. Known as the ‘White City’, La Rochelle on the French Atlantic coast was a vital port during the Renaissance, the center of the wine and salt trade. It became wealthy then made the mistake of turning Protestant in the 17th century, prompting Cardinal Richelieu to besiege and beat the town into submission. But you still get the feeling of the glorious past from the protected inner harbour, the old port, now full of pleasure boats, and the three famous towers. Tour St-Nicolas protects the east side of the harbour; Tour de la Lanterne is opposite and the third tower, the Tour de la Lanterne is along the old city walls. It’s a splendidly gracious city, with long arcaded streets and splendid buildings. The old harbour is the main center with bars and restaurants on the old quays inviting you to linger. Just across the bay stands Rochefort, a military town with a famous naval shipyard. Every year the replica frigate L’Hermione which has taken many years to build, leaves France for a different route. The original was built for General Lafayette, the soldier from the Auvergne who went to help the American Revolution against the English. Lyon is a glorious city with a colourful past. A Roman city, it then became the center of the textile industry, with silk to the fore. From the approach roads you don’t get the sense of this lively and cultured place. But stay in the center and you have trompe l’oeil paintings, markets, great museums including one devoted to the Lumière brothers (who invented cinema and lived and worked in Lyon), secret passageways between streets and a reputation as the gourmet center of France. There’s an intriguing astronomical clock in the cathedral; a museum of puppets from around the world and a whole host of delights to discover. Like many French cities, the former industrial area is being transformed while modern Lyon takes in a wonderful Parc de la Tête d’Or and opposite, the headquarters of Interpol. Lyon is one of my favourite cities, and a great place to eat. Try the bouchons, former butchers’ shops, which have become a gutsy version of the classic French bistro, or splash out on one of the four restaurants of the famous chef, Paul Bocuse. No article on France’s romantic cities would be complete without mentioning Nice and its many attractions. The Queen of the Riviera has had a racy past, discovered by the British aristocracy then taken over by American writers like F. Scott Fitzgerald. In between came the artists like Matisse, attracted by the clear light. Nice has a delightful, if small, old quarter where churches are crammed together in a rabbit warren of medieval streets. Its Roman past is evident on the hill of Cimiez. At Cours Saleya it has one of the best markets in France, with stalls piled high with mushrooms, olive oils, spices, fresh fruit and vegetable and flowers. It has pavement cafes, a park, great shopping and famous hotels like the legendary Negresco. It also has one of the best carnivals in France and one of the top jazz festivals in the summer. Rouen is one of the oldest in France. Originally a Roman town, it was laid out in 911 by Rollo, the 1st duke of Normandy. It was captured by the English during the 100 Years War in 1419 and was the town where Joan of Arc was tried, then burnt at the stake. Rouen has a lively center. Old half-timbered black and white houses surround the Place du Vieux-Marché; walk a little further to an archway with a huge astronomical clock. The splendid Gothic cathedral, built in the 12th and 13th centuries, might look familiar: it was a favourite of the Impressionist artist Monet, who painted it over 30 times. There are Monets on display in the Fine Arts Museum, along with works from Caravaggio, Rubens and Velázquez;and there’s a lovely ceramics museum as Rouen was a center for faïencerie, or earthenware pottery.